Admit it. You've dreamed of owning your own 5th Wheel Toy Hauler for a long time. Here at Lakeshore RV Center, we want you to reach your dream! There's no better time than now, and no better RV than this 2019 Heartland Cyclone 5th Wheel Toy Hauler! All of us at Lakeshore RV Center are dedicated to helping you every step of the way, from first look to final sale. We're the #1 RV dealer in Michigan, with the best prices and best financing in the country! Come in and see us at 4500 E Apple Ave Muskegon Michigan 49442 if you're in the neighborhood! If not, just give us a call at 231-788-2040. Either way, we'll make it happen for you! Towing is easier with a hitch weight of 3540 lbs. and a dry weight of 16730 lbs. This rig has a GVWR of 20000 lbs. and is 44' 1" long. Stay cool in the shade of the 19' 0" awning! 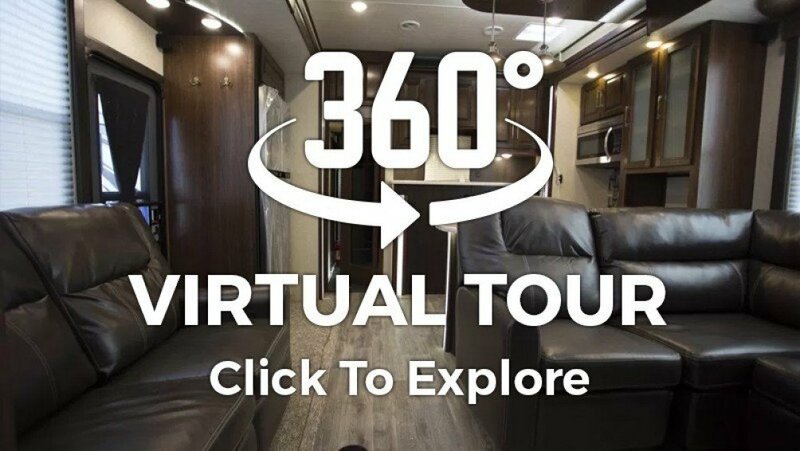 This 2019 5th Wheel Toy Hauler lets you travel far without running into any unexpected problems! 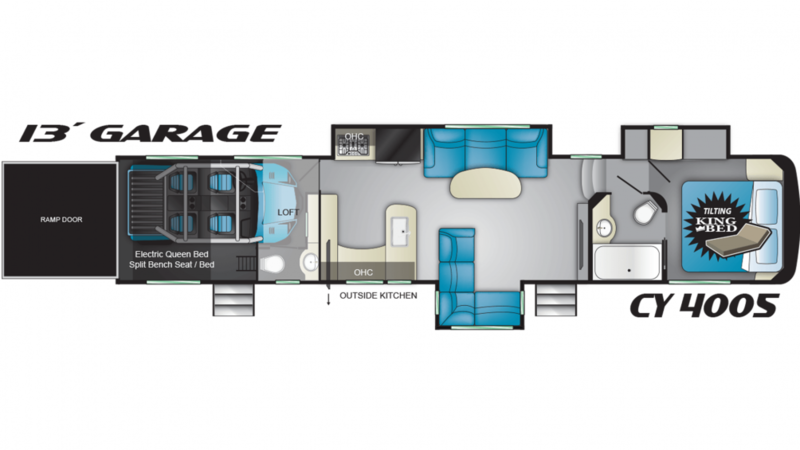 Enjoy extra legroom inside this 44' 1" long, 8' 5" wide Toy Hauler. There's even more space inside the living area when you slide out the 3 slides! At 13' 3" tall, you won't have to worry about bumping your head whenever you stand up! The 35000 BTU furnace and the 15000 BTU a/c unit keep the interior's temperature stable, even if the weather outside is extreme! Another convenience with your 2019 Cyclone is the bathroom. With 60 lbs. of LP tank capacity, you'll enjoy hot showers in the privacy and comfort of your RV. The 80 gallon gray water tank and the 80 gallon black water tank, combined with the your Porcelain Foot Flush toilet means you'll avoid the noise and hassle of a campsite community bathroom. Don't worry about whether your toys can make it to their destination! There is a 13' 0" garage and a cargo capacity of 3222 lbs, allowing for heavier toys to tag along for the ride! Cook the family dinner outside with the outdoor kitchen! When the master bathroom is occupied, you won't have to sit and wait with your legs crossed, or trudge through the campground to the cold, damp communal bathroom because this 5th Wheel Toy Hauler has an extra half bath for everyone's convenience! The handy Porcelain Foot Flush toilet and sink make it a real boon! Are you worried that there aren't enough beds for everyone in your family? Luckily for you, there is one situated above up in the loft area!